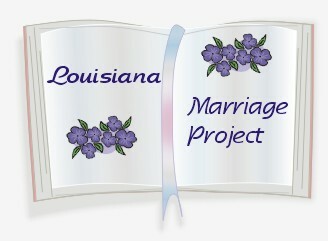 the Louisiana Marriage Project files useful . in NEED of YOUR HELP. entire marriage books and/or of the entire roll of microfilm. of the State and County/Parish where the marriage records were originally recorded. We also are always in the need of help in getting data on-line and keeping them organized. Sorry, we can not do look-ups. As transcriptions become available they are posted and searchable.